Anne C. Dranginis, Connecticut Appellate Court Judge (Ret. ), focuses on litigation matters involving matrimonial law, corporate compliance and governance, trial strategy, arbitration and mediation, with a particular focus in appellate mediation. She is a member of the firm's Family Law Practice. Judge Dranginis retired in January 2006 as an Associate Judge of the Connecticut Appellate Court after serving for more than 21 years on the Superior and Appellate Court bench to become a principal at a Hartford law firm. Judge Dranginis served in all capacities as a trial judge, including serving as Presiding Criminal Judge in Waterbury and Litchfield. From 1990-1994, she was the Administrative Judge in Litchfield where she heard and decided the declaratory judgment action testing the constitutionality of the assault weapon ban, and the challenge to the state's "hunter harassment" statute. She was specially assigned to preside over Connecticut's so-called "Right to Die" case, McConnell v. Beverly Enterprises-Connecticut. 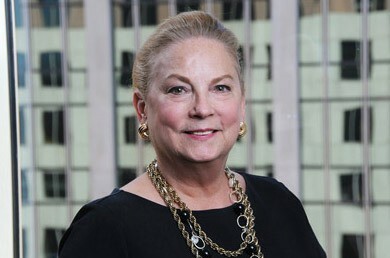 In 1994, she was appointed the Chief Administrative Judge for Family Matters for the Connecticut Superior Court, and led the changes in family practice that provided for automatic orders upon the filing of dissolution or custody complaints and allowed the family dockets statewide to adhere to the American Bar Association guidelines. During her tenure on the Appellate Court, she sat by designation on the Connecticut Superior Court, including the death penalty phase of State v. Michael Ross. Throughout her career, Judge Dranginis has lectured and provided training sessions to professional associations and community organizations on a host of topics including domestic violence, complex issues in law and medicine, legal services for Connecticut's poor, forensic science, and family law and the rights of children and youth. She is recognized as a leader in the legal community, and has earned numerous professional awards for her accomplishments, most recently receiving a Professional Excellence Lifetime Achievement Award from the Connecticut Law Tribune. She serves in leadership positions of many prestigious organizations and in 2016 was elected to serve as the president of the Hartford County Bar Association.